Remix OS is coming to PC (and some Macs) by the end of this month. Will you try it out? How does Remix OS help get work done? Why not just use android? So what about this PC port? 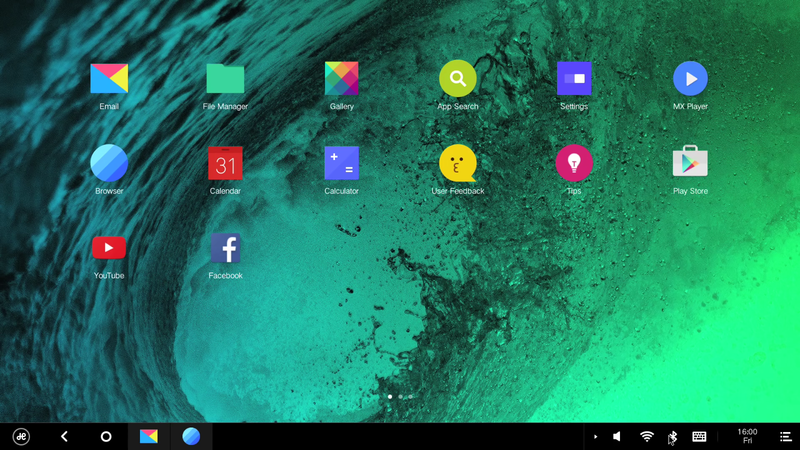 Remix OS is a reimagining of Android. Their goal is to modify Android to the point of having a truly PC-like experience. Simplicity– Well, keep it simple stupid! There is amazing power in simplicity. AK-47 anyone? Vitality – Remix OS want’s the user experience to feel like being one with nature. Okay, so their principles are a bit oddly named, but the purpose is sound. Make an OS that can actually get work done and feel comfortable at the same time. Sure, it’s possible to do all sorts of work on an Android tablet or phone these days, but there is one big issue we have to contend with. Windowing. Sure it’s been done before, but it has always been clunky at best. With Remix, the user can actually run apps in windows and freely drag them around the desktop. How great is that for productivity? Remix OS for the PC is based on the Android-x86 project. The mouse and keyboard work well in Android already, but in a couple of weeks getting work done will be much easier without relying on full-screen apps. It will even play nice with other Operating Systems. Want to install Remix OS and still keep Windows? No problem! Just boot into whichever OS you prefer! Aside from simply being an awesome way to adapt Android to PC, it still retains all the other benefits of running Android on a computer. Old laptop running slow? Breath some new life into it by installing Remix OS. Not only will the laptop likely run much faster than before, but access to the Play store provides over a million apps to squeeze some extra life out of that old beast. Remix OS seems pretty cool. Especially for someone wanting to keep old hardware alive and don’t want to install Linux. Using it on modern hardware seems like a waste unless the user really likes Android. Even then, (s)he would probably be better of buying an old Lenovo Thinkpad and installing it on that.